The right hemisphere of the brain is in charge of self-regulation. Because the right hemisphere processes information in images, it is important to show children visual images of what acceptable behaviors look like. 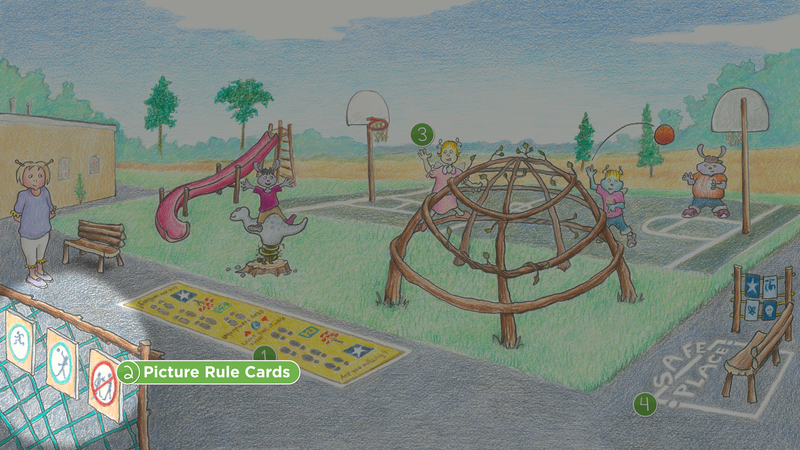 The Picture Rule Cards provide specific images of what children can do to be successful members of the School Family. For more information about visual rules, see Chapter 6 of the Creating the School Family book and Chapter 4 of the NEW Conscious Discipline Expanded & Updated book.